Valentine’s day is a very special day in our family for many reasons. It’s my sister’s birthday, my son’s birthday and my husband and I were engaged around Valentine’s day. Valentine’s day is about being around the people that you love and we make sure to celebrate each other with little gifts and treats. This year I baked up these delicious Dark Chocolate Strawberry Brownies for my friends and family. 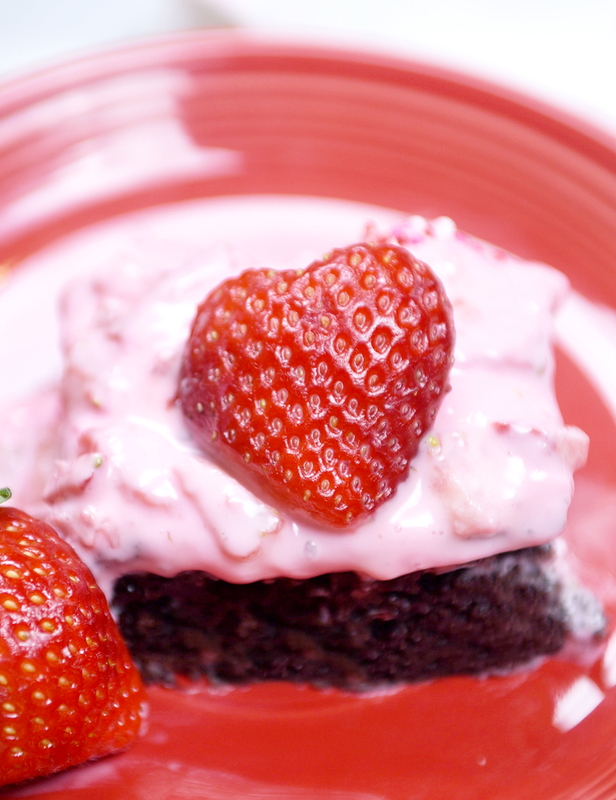 I love the taste of strawberries and dark chocolate together and these brownies are the best! I used Pillsbury Dark Chocolate Brownies, strawberries and Pillsbury Creamy Strawberry flavored frosting. Simple ingredients that make the best tasting brownies. 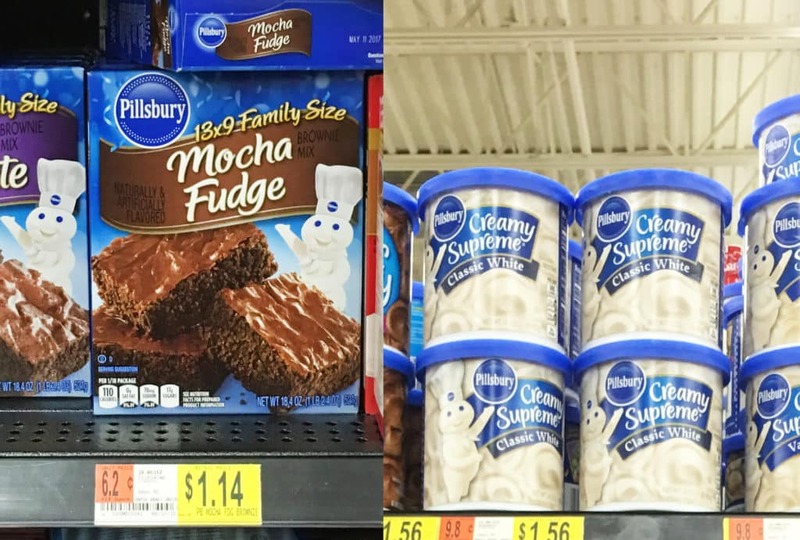 I find the Pillsbury brownie mixes and frostings at Walmart. You can save on Pillsbury now with this coupon. Bake the brownies according to the package directions. Let the brownies cool down completely before icing. Mix the strawberries and Pillsbury Strawberry frosting in a medium sized bowl. Frosting will be a bit runny so add some powdered sugar if you want it to be a bit thicker. 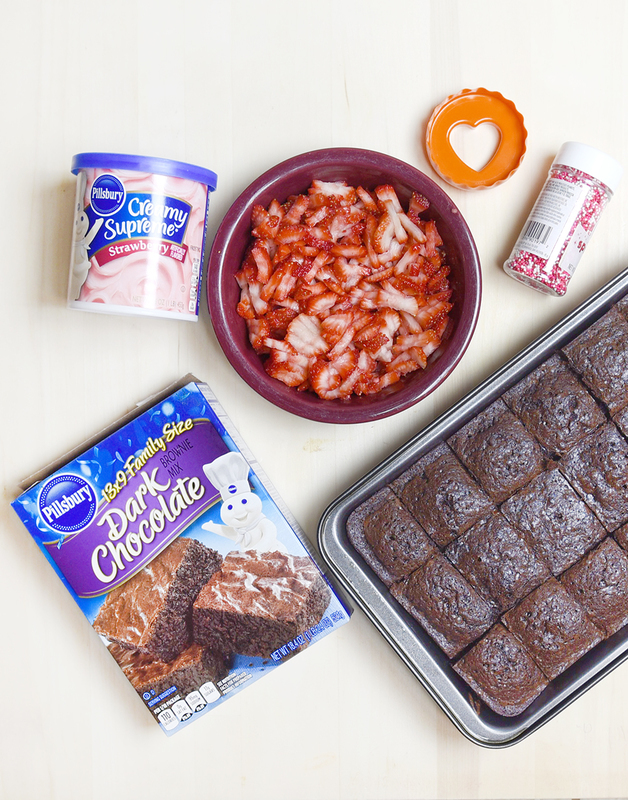 Frost the brownies as usual and decorate with sprinkles and more strawberries. 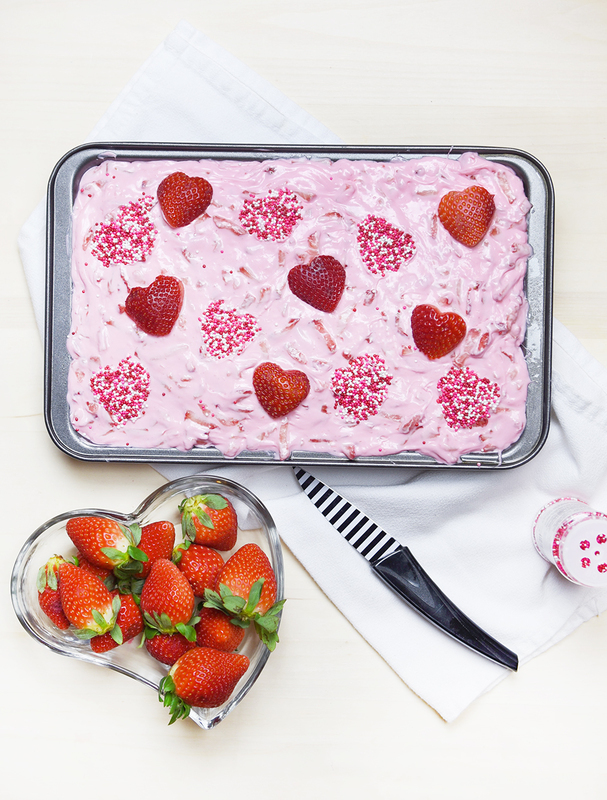 To make the decorations as shown in the picture just cut the strawberries with a heart shaped cookie cutter and use the same cookie cutter to make shaped with the sprinkles. 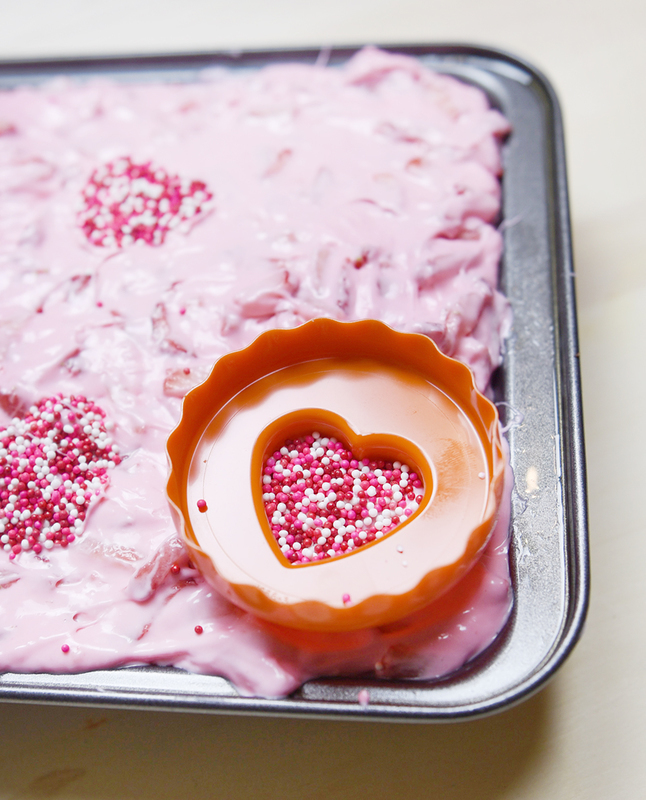 To do this lay the cookie cutter on the frosted brownies and pour some sprinkles into the cavity. Lift it up and your sprinkle shape will show up! Enjoy. I love how these decorations turned out! Perfect for Valentine’s day! Mmm… so amazing! What are your favorite Valentine’s Day treats? Discover more ways to #MixUpAMoment with Pillsbury on Pinterest!